The 6th Grade Division of the Basketball Spotlight Clash For The Cup gave us a look into the bright stars of the future. Here’s our first look at the top performers. 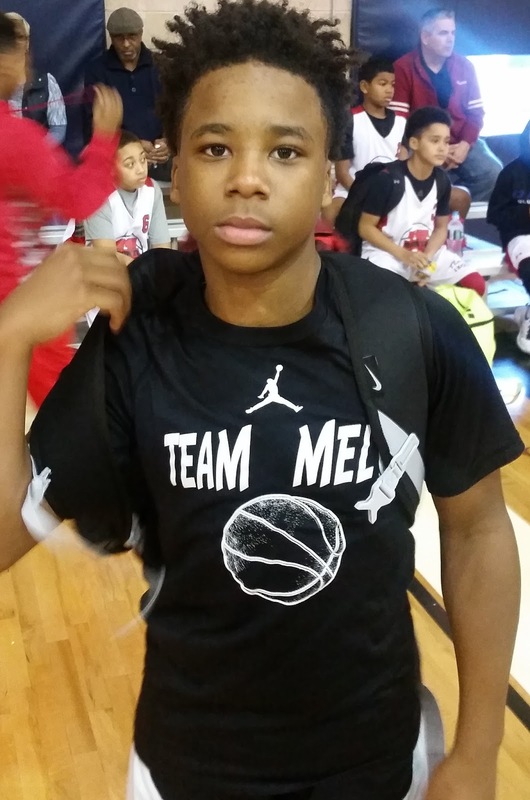 Andrew Rheubottom Forward (Team Melo) – This long active forward dominated in the championship game. He played like he had something to prove and show that he was one of the country’s best front court players. Later down the line Andrew looks to project as a wing player as he continues to develop his ball handling and outside shooting. Right now he is a staple in the paint as he finishes at a high level around the basket and is a good rebounder. He finished with a game high 11 points in the championship. 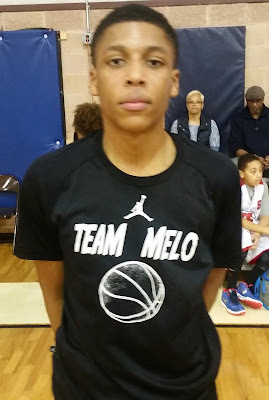 Sammy Scott Guard (Team Melo) – Scott has been considered one of the top guards in the country for some time and he backed his rep up by leading his team to the Clash for the Cup crown. Sammy is a strong built PG that has a high basketball IQ. He has a great pace and feel for the game and he is very competitive. He can get anywhere on the floor he wants which allows him to score or set up his teammates with a nice assist. 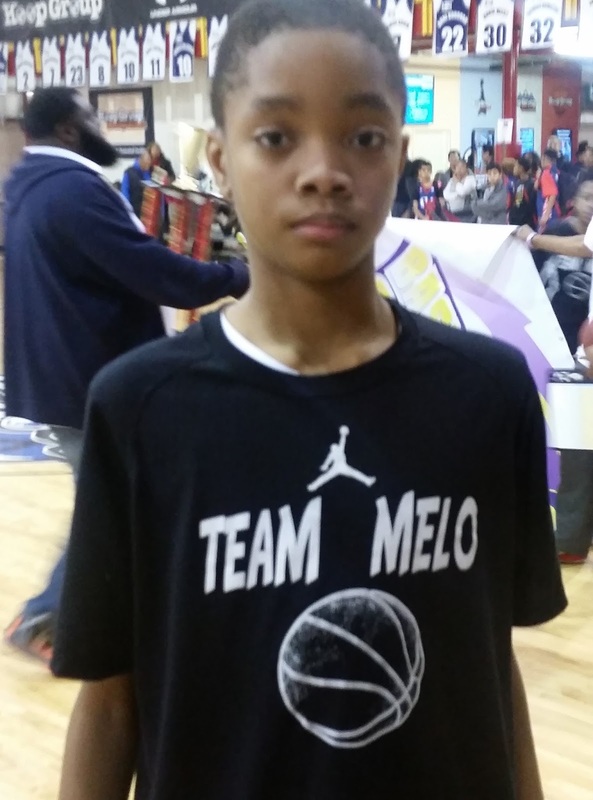 Jamal Evans Forward (Team Melo) – Still more a prospect than a finished product Evans caught our eye. He is a long athlete that projects to be a wing player. Evans has a nice soft touch on his mid-range jumper and he can make it consistently. Jamal can guard 3 positions on the floor. Donovan Leak Guard (Team Melo) – Leak is a good compliment to Scott in the backcourt. Donovan is a good ball handler that is attack mode looking to score. He can make a floater or step out to the 3pt line and knock down a long ball as we saw in the championship. He finished as the second leading scorer behind Rheubottom. 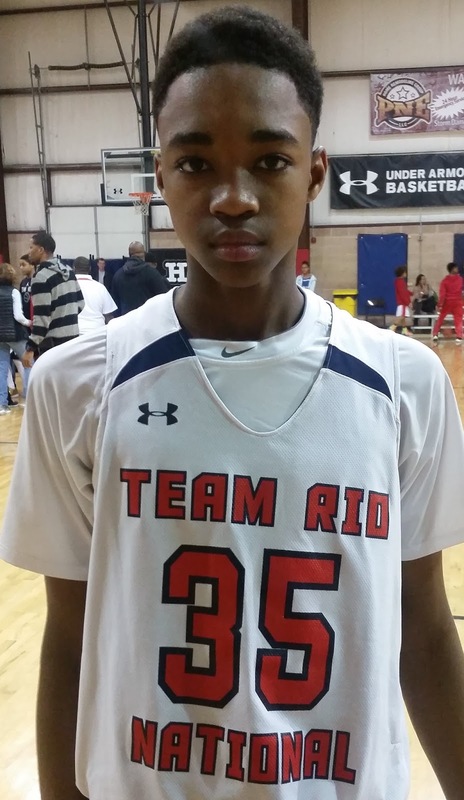 Amaral Pierre-Jerome Forward (Team Rio National) – Jerome is a tall athletic forward. He looks like the best prospect on this well coached team. Still a raw talent he shows signs that he could be a real problem down the road if he keeps working. Can move very well, finishes good around the basket, rebounds and blocks shots. 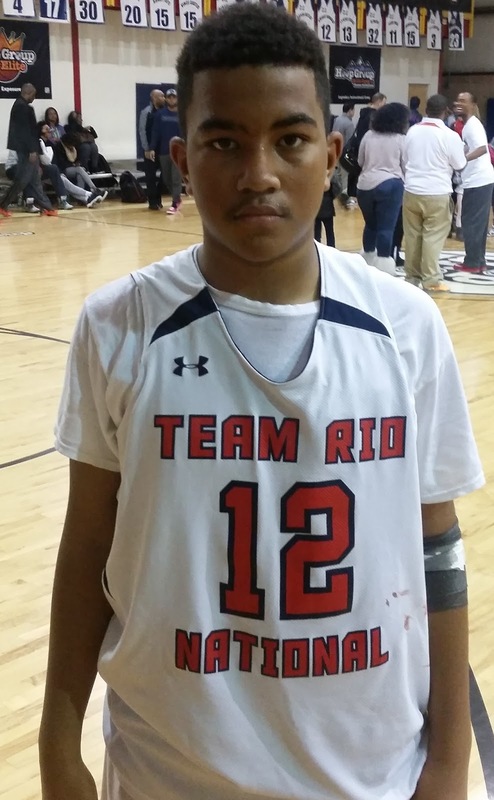 Corey Floyd Guard (Team Rio National) – This big strong wing guard has a nice jump shot. Floyd is very athletic in this 6th grade age group. Another thing we noticed is that he has great court awareness for not being a PG. Corey can also be a lock down defender and guard the 3 backcourt positions. Mason Piorkowski Guard (Team Rio National) – Mason might not pass the look test in the layup line but once the ball is tipped you can immediately tell this kid is a baller. At his size he has no fear and runs the team like a seasoned veteran from the PG position. He is a coach on the floor and gets the ball to the right player in scoring position. Don’t get it twisted he can also score by knocking down a 3 pointer or hitting a floater in the lane. He was the 2nd leading scorer for his team in the championship. 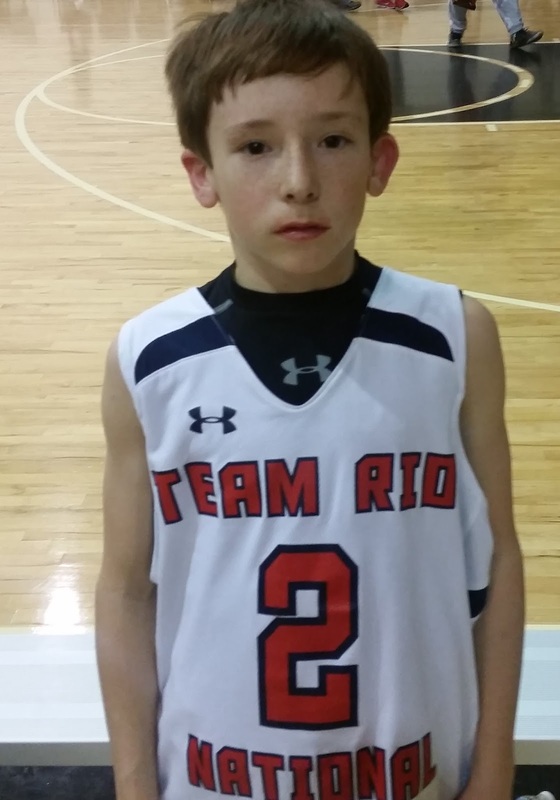 Brandon Klatsky Guard (Team Rio National) – Call this kid the zone buster. As teams still love to play zone in 6th grade, Brandon is the guy that shoots you out of the zone. He has a pure stroke from behind the 3pt line and he understands his role and does it well. Marcus Gaffney Forward (Team Rio National) – Gaffney navigates the high post like a seasoned veteran. With many teams still playing zone at this age one key to break down the defense is get the ball to the high post and Marcus is like a QB when he gets it. He has great court awareness as he is a great passer from the forward position. He is also a good finisher around the basket and can hit the free throw line jumper. He also rebounds well. He led Rio in scoring with 10 points in the championship loss.